Pronation occurs every time you take a step and transfer weight from your heel to your toes. Your foot naturally rolls inward as part of your gait, whether you’re walking or running. But too much rolling can cause discomfort, pain, or injury. Overpronating is most common with runners with flat feet. If you aren’t sure if you have low, medium, or high arches, check out our article on picking running shoes. Our feet are highly connected to the rest of us, so when they’re not doing what they should be doing, that can lead to problems throughout your body. Common issues for people who overpronate include plantar fasciitis, bunions, Achilles tendonitis, knee pain, and shin pain. To help correct this, you’ll want to find a shoe that provides a high level of support. Today, we’ve rounded up ten of the best stability shoes that will help you correct your gait and prevent potential injury. The Adrenaline GTS from Brooks has been around for over twenty years, and for good reason; this model continues to be one of Brooks’ best performers. 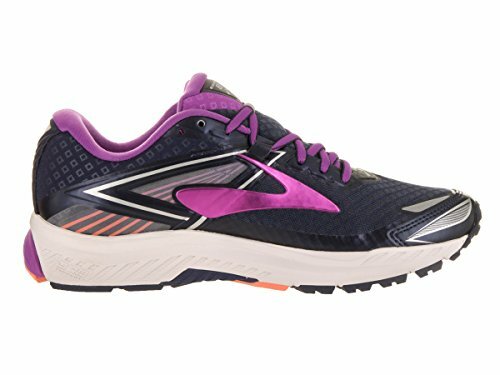 It’s a stability shoe, but what’s unique about the Adrenaline is that it doesn’t feel like a stability shoe. And with version 19, Brooks has completed redesigned the support for a more stable, customized ride. The shoe does everything right from a support perspective: there is a very cushioned heel collar and thats lock your heel in place without being too tight. The mesh in the upper is soft and compliant, yet holds the foot well over the platform, particularly in the arch, where you need it the most. And new guide rails built into the midsole replace traditional medial posting. In practical terms, this means the Adrenaline only provides support when your feet need it. If you only mildly overpronate, the shoe provides a little support. Overpronate more and it gives you more support. It also allows for a more cushioned, durable shoe. Gone is the stiff, medial section of the midsole that turns into a rock after several months of running. Brooks’ DNA foam provides excellent cushion. And with the new design, the shoe weighs less than previous Adrenaline versions. Overall, the Adrenaline GTS 19 provides strong support and cushion without being bulky or brick-like. If you find yourself pronating – even just mild overpronating – you’ll appreciate the Asics Gel-Kayano from Asics. This is another shoe with lots of history (and iterations) behind it, so you can trust in both its design and its durability. The Kayano 25 has a lightweight, breathable upper. If you frequently find your feet overheating or sweating, you’ll appreciate this feature. The heel cup on this show is slightly less high profile than other versions, which makes it a good choice for people who don’t like feeling imprisoned by the heel on their shoe. It also makes for a more tapered, stylish look. 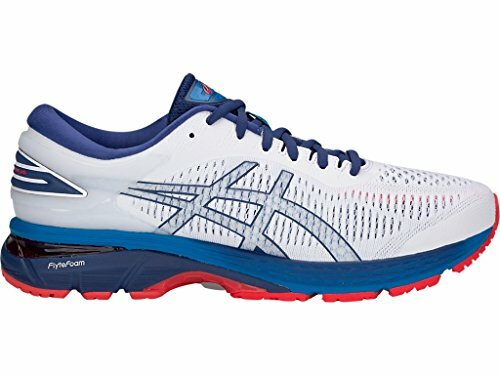 Reviewers love the thick foam and unique Asics gel cushion in the midsole. In fact, with a stack height of over 34mm, you won’t lack comfort or support! The FlyteFoam Asics uses includes reinforced fibers in the foam to help provide additional stability and comfort with less weight. 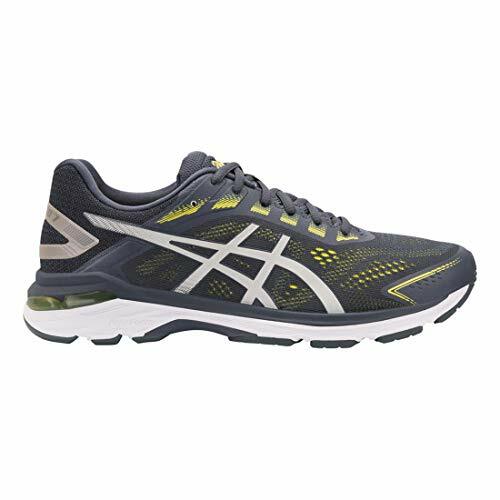 Overall, the Gel-Kayano 25 is a plush, cushioned shoe for mild to medium overpronators. It really locks your foot into the shoe for a snug fit. New to version 25 is a redesigned upper that stretches more and has a cleaner look. Unfortunately, the color schemes are poor in our opinion. You’ll find a few nice options, but some are too retro for our style. Brooks is back with the all new Beast 18 and Ariel 18. These shoes are ideal for people who overpronate heavily or have especially wide feet. If you’re experiencing a lot of the problems that come with overpronation (shin splints, ankle pain, knee pain, etc), this shoe will help to lock your foot into the correct gait. At 13.3oz, the Beast (for men) is not a lightweight shoe. What you lose in weight, you more than make up in stability and support. The Beast and Ariel (for women) have a DRB Accel Shank in the midshaft for midfoot support, as well as a BioMoGo Midsole with extensive cushioning that will help reduce impact on your knees. There’s always a trade-off between lightness and holding your foot over the shoe platform; this shoe does a nice job of providing enough mesh in the upper to keep your feet cool and comfortable while not sacrificing support. The mesh is strategically placed, so it accommodates hammer toes and bunions comfortably. A new seamless upper is the latest change to the Beast/Ariel line. Not only does the upper provide a streamlined look, but it makes for a plush, soft feel. The seamless upper also prevents rubbing and irritation. A heel counter wraps the heel for a supportive fit. The GT-2000 series from Asics is a go-to for people with mild to average overpronation. 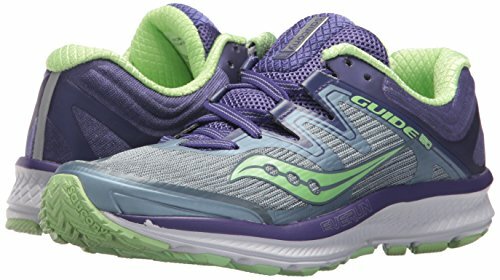 The shoe’s FlyteFoam in the midsole provides a great level of cushion without adding weight to the show, while the SpEVA soft layer that runs the full length of the sole creates bounce-back and decreases breakdown, helping you efficiently manage running’s impact on your knees, shins, ankles, and feet. The 2000’s seamless upper provides great long-distance comfort as you pound out the miles. There’s more mesh here than in previous versions, so we think you’ll appreciate that there’s now more room in the midfoot and arch, though you haven’t lost anything regarding support. Weighing in at 10.5oz, this product from Asics is on the lower end of what we’d expect from a stability shoe, so as we said earlier, it makes this a great shoe for almost anyone as long as he or she doesn’t need heavy support for severe overpronation. 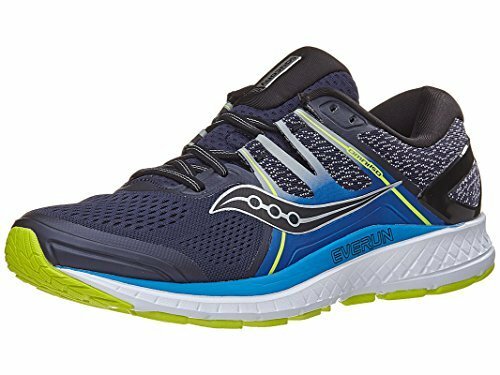 The Saucony Guide has long been a standard for stability shoes, and this latest iteration (the ISO replaces the Saucony Guide 10) is a great option for moderate pronators who need a running shoe with great midfoot lockdown. The Guide ISO utilizes engineered mesh and a dynamic lacing system that work together to help you get a dynamic fit that adapts to the shape of your foot. If you’re constantly re-tying laces or often feel like your foot is sliding or just not comfortable in your shoe, this is a great choice for you. In addition to a dynamic upper, the EVERUN top sole in the ISO and the power foam midsole both provide exceptional cushioning throughout your run, as well as enhanced energy return. This means you’ll have strong support during transition and still enjoy a soft underfoot sensation. The Nike Zoom Structure is another Runner’s World Editor’s Choice winner. 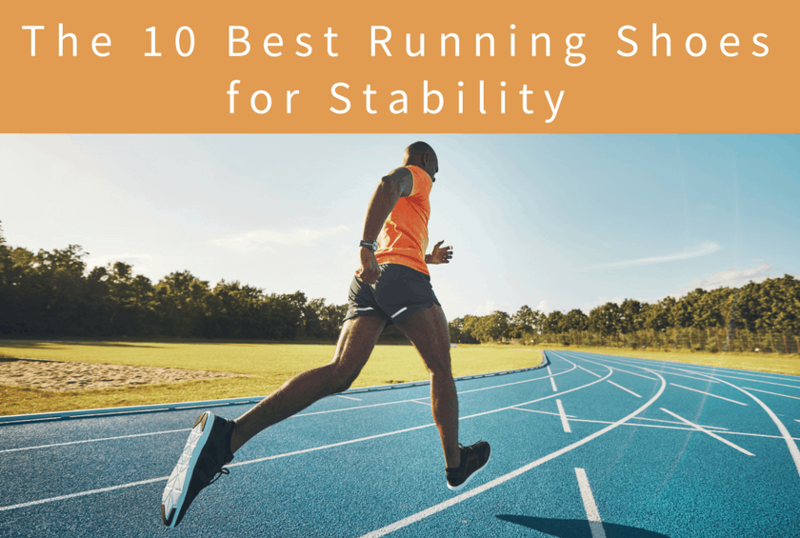 Stability running shoes are traditionally plagued by compromises between smooth transition and stability; it seems to be either one or the other. With this shoe, however, Nike has found a way for you to have both. The upper on the Structure contains monofilament yarns woven into the upper of the shoe that ups the strength without sacrificing flexibility, responsiveness, or fit. Also, you’ll find a dynamic fit lacing system that provides lockdown by combining a powerful arch wrap with flywire cable construction in the top two eyelets. The fit is dynamic and adjusts to your foot, but you also have this great, strong wraparound to help maintain the integrity of your gait. Finally, the sole of this shoe has extra strength where you need it the most – on the medial (inside) edge and under your arch. This extra responsiveness allows the entire shoe to be more comfortable without sacrificing additional weight. The two levels of foam firmness will further help you to keep your foot from twisting as you run. If you’re a fan of Mizuno, you’ll love the Wave Inspire 14. Designed to provide elite guidance to your foot as you look for ways to better your gait, increase comfort, and prevent injury from improper impact. This shoe contains several levels of technology that help you maintain stability while also enjoying your run. 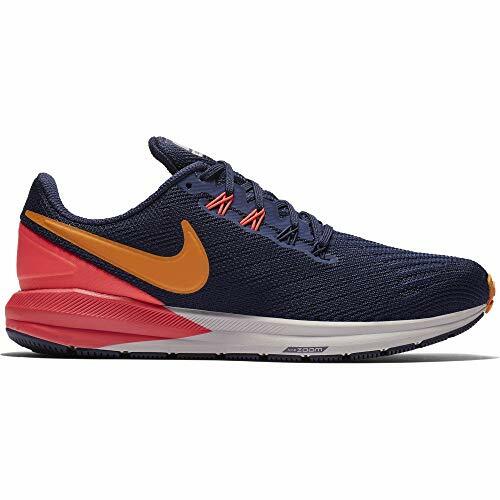 The Inspire is a lightweight shoe with great responsiveness compared to other stability running shoes. It’s one of the lighter stability shoes available, but sacrifices some cushioning. It’s exceptionally great for high mileage runners and has the added benefit of having a breathable upper that wicks away moisture from your foot. This is a huge plus if you’re in a hot climate or find you struggle to keep your feet dry on a run. 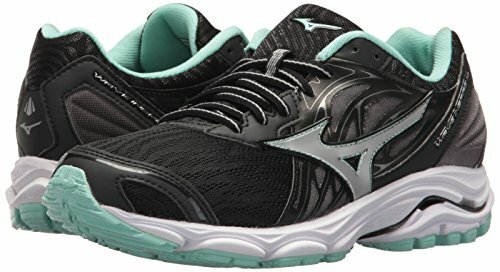 This Mizuno’s double fan wave underneath cradles your feet without adding stiffness and reviewers report loving the stretch laces that help mold the shoe to your foot. 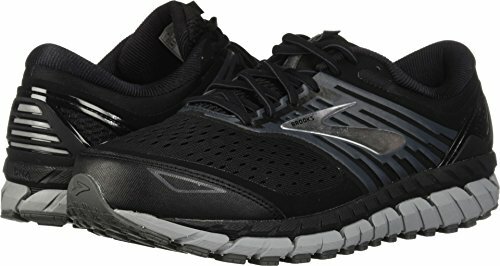 While Brooks has better options for the moderate to extreme overpronator, the Brooks Ravenna is its lightest stability show, weighing in at just over 9oz! This shoe is perfect for the mild overpronator and provides some fantastic performance benefits. If you’re not experiencing pain and want to correct your gait before heavy training, this shoe is a good choice. The Ravenna 9 comes with a BioMoGo midsole that provides adaptive cushion and a responsive underfoot sensation. It also comes with a midfoot transition zone for ultra-smooth toe-off, which means it’s a shoe you’ll really love running in. The diagonal roll bar provides increased stability, and the shoe’s upper maintains breathability while still keeping your foot centered and in place. 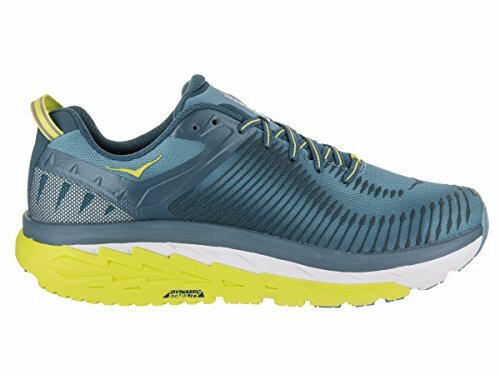 If you find yourself wanting a nimble, lightweight shoe, but needing a stability shoe, you might love the Arahi 2 from Hoka One One. With just a 5mm heel-to-toe drop, the Arahi is going to feel a lot more light and responsive than most high-cushion shoes. Thanks to its J-Frame technology, however, Hoka One One is able to provide stability where it matters. The J-Frame tech is visible on the outer sole. In fact, you’ll see a j-shape that supports the medial (inside) arch of your foot without weighing down the rest of the foot. Instead of using support posts, the Arahi relies on this technology to provide strength throughout the shoe. Thanks to this extra stability, the shoe is able to guide your foot through its entire gait cycle, without using rigid or uncomfortable materials. This has also resulted in a very light shoe; at just over 9oz, you might even forget you have shoes on! You can think of the Omni ISO as Saucony’s response to the Brooks’ Adrenaline GTS stability series and provides a sleek, well-cushioned combination of support and stability, great for individuals with moderate to severe overpronation. Runners will find tremendous cushion that lasts throughout the run, thanks to the EVERUN technology Saucony employs here. Like many of the best stability running shoes, Saucony utilizes an engineered mesh, which helps to cut down on weight and provide an updated look. The Omni utilizes a single block of foam in the midsole, which increases the shoe’s durability and provides additional support throughout the medial edge. Runners will find they are well supported without feeling like they’re running with bricks strapped to their feet.